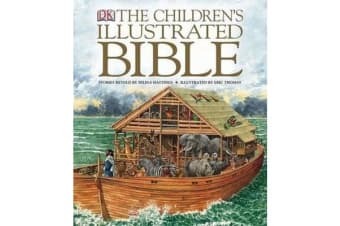 Written in conjunction with educators, scholars, and religious advisors, this retelling of favorite Old and New Testament stories retains the original feel and poetry of the Bible while appealing to contemporary young readers. 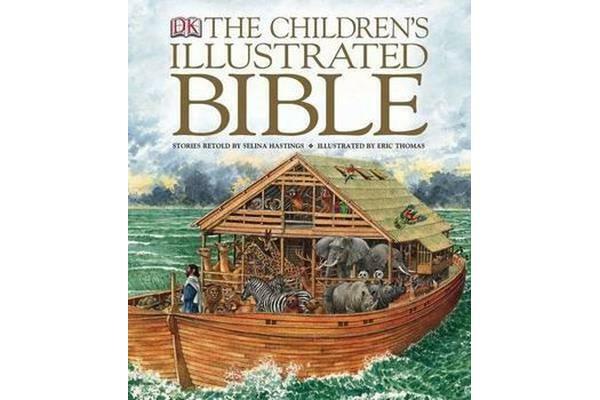 DK’s “Children’s Illustrated Bible” features some of the best-known Bible tales, including, the Birth of Jesus, Jacob’s Ladder, Noah’s Ark, and the Resurrection, written especially for children in a clear, easy-to-understand tone. A “Who’s Who in the Bible Stories” section and quotations from the King James Bible, listed by chapter and verse, add even more value to this unique resource.